On 14 August the Belarusian government approved a plan to increase tariffs on housing utilities to their full market cost. The state wants Belarusians to live under market conditions in five years time, which means tripling utility bills by 2020. Housing utility reform features among the main conditions under discussion between Minsk and international financial institutions for the introduction of a new stabilisation programme. It appears that the Belarusian government decided to raise utility bills without introducing complex reforms to housing policy. But will introducing market prices for housing services alone fix the problem? Belarusians pay significantly less for housing services than they would under market conditions. In 2014 households spent on housing and utilities 5.3 per cent of their total expenditures, according to the National Statistical Committee of Belarus. That is close to the lowest level of the past 20 years. For comparison, Poles paid 20.1 per cent of their total spending for housing utilities in 2014. Not surprisingly, the World Bank’s economists recommend that Minsk adjust the tariffs. In mid-August the Belarusian government accepted a plan to raise drastically tariffs on housing services in 2016-2020. Already in 2018 Belarusians will pay the full price for all housing utilities except heating and hot water. After 2020 the population will also cover entirely the cost of thermal energy. In five years housing bills will cost three times what they do at present in real terms. The authorities' plan will see the population cover 62.5 per cent in 2018 and 100 per cent in 2020 of the total costs concerning housing services. This year, households pay less than a third.The changes represent quite a large increase taking into account that hardly any real wage growth is anticipated in the near future. Since the collapse of the USSR, Belarus has never tried to modernise the housing utilities system. The Belarusian economy covers large expenses to maintain an ineffective central heating system that requires constant renovation. 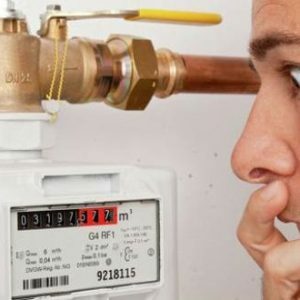 For example, each year Belarusians experience the hot water and heating being switched off from mid-May till October or November. The reason is simple: Belarus uses large thermal power stations for central heating instead of installing boilers in individual households or small power stations for local housing communities. Huge pipes in the ground pump boiling hot water to millions of houses. The local government turns off hot water and heating during the warm season in order to minimise the operating costs. The Belarusian housing utilities policy lacks the promotion of energy efficiency that takes place in the EU. Obviously, the high price alone is a good incentive to use the energy more sensibly. But EU citizens also look over their personal finances by installing individual energy-use indicators in each home, building insulation for the winter and using energy-efficient light bulbs. Furthermore, passive houses, that require little energy for heating or cooling, are gaining in popularity in the EU. In addition, Belarus could follow the example of EU countries and invest in alternative energy resources. The EU encourages households to become prosumers. Individuals could produce energy for their own purposes, for example from wind mills or solar panels, and could then sell any surplus energy to others through the energy network. On 31 August the Eurasian Development Bank announced that it may grant the first tranche of a new stabilisation loan to Belarus before the end of this year. Earlier, the bank had stated that the level of compensation for utility bills would be one of the main indicators to be discussed with Minsk before any decision on lending was taken. Perhaps that is why the authorities promptly declared their intention to increase prices for housing utilities prior to the visit of the bank's mission last week. Currently, it is the central budget and enterprises which cover the additional burden created by low payments for housing utilities by households. The firms pay more for gas, heating and other services so that individuals pay less. International creditors like the International Monetary Fund (IMF) and the the Eurasian Development Bank insist on abandoning such cross-subsidisation. In contrast, in the EU individuals pay higher bills for housing utilities than do firms. That makes EU firms more competitive on the international market. Ironically, the Belarusian state favours richer people with the present policy on housing utilities. The same subsidies apply to all households regardless of income level. Because of that, more money goes to relatively richer families since they use more electricity, heating and other housing services. Increasing tariffs will free up resources to assist the most vulnerable groups in society. 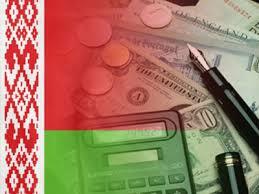 The Belarusian state could benefit from raising the tariffs. Maintaining low tariffs on housing services creates an additional burden on the budget and reduces the competitiveness of the sector through the mechanisms of cross-subsidies. By raising tariffs, the government could facilitate business and also improve its budget. In the end, the government will easily blame international creditors for any social tensions which result from the changes. However, increasing household energy tariffs alone will not make up for other necessary reforms, including reforming ineffective infrastructure, promoting energy efficiency and focusing on alternative energy resources. Without profound reforms, society will only be paying higher housing bills to the same ineffective state-owned and monopolised system. The authorities in Minsk have shown willingness to satisfy the creditors' conditions and increase housing bills. Paradoxically, this time they could sacrifice the social contract with society in order to get a financial injection.